Polygenic risk scores (PRSs) are a new technology that seems to be everywhere lately. In fact, 23andMe recently announced that they are offering a PRS for diabetes. And, while PRSs may serve some people well, a new study suggests that their usefulness is limited by the lack of diversity in the data they are built from. PRSs can predict a person’s risk for conditions like coronary artery disease, breast cancer, and type 2 diabetes (T2D) which can be especially useful for people who lack common warning signs. The goal of PRSs is to stratify patients into risk categories based on their genetic mutations. Diseases are mediated by a collection of common and low-frequency genetic variants. Although each variant has a small effect, taken together, they could indicate a person’s overall risk. PRSs are poised to improve biomedical outcomes via precision medicine. The major ethical and scientific challenge surrounding clinical implementation of PRS is that those available today are several times more accurate in individuals of European ancestry than other ancestries. According to a new study, PRSs developed by studying Europeans do a better job at predicting disease risk for people of European ancestry than for those of other ancestries. The paper, titled, “Clinical use of current polygenic risk scores may exacerbate health disparities” is published in Nature Genetics. Researchers from the Broad Institute of MIT and Harvard and Massachusetts General Hospital (MGH) led a team that used large-scale genetic data from UK Biobank to develop prediction scores for height, body mass index, T2D, and certain other traits and diseases. The researchers found that polygenic scores, calculated based on data from UK Biobank, had a 4.5 times higher prediction accuracy for people of European ancestry than those of African ancestry, and two times higher accuracy than those of East Asian ancestry. “From a clinical context, this means that current polygenic scores are significantly better in predicting the risk of common diseases for people of European ancestry than those of African ancestry,” said Alicia Martin, Ph.D., the lead author of the study and a postdoctoral research fellow in Mark Daly’s lab at the Analytic & Translational Genetics Unit in MGH as well as the Stanley Center for Psychiatric Research at the Broad Institute. This disparity is an inescapable consequence of Eurocentric biases in genome-wide association studies, thus highlighting that—unlike clinical biomarkers and prescription drugs, which may individually work better in some populations but do not ubiquitously perform far better in European populations—clinical uses of PRS today would systematically afford greater improvement for European-descent populations. With advances in genome sequencing technology, studies in people of European ancestry have grown rapidly in the last few years, while the proportion of non-Europeans in these genomic studies have stagnated since 2014, the authors reported. As of 2016, 80% of participants in genetic studies are of European descent, even though Europeans constitute only 16% of the world population. 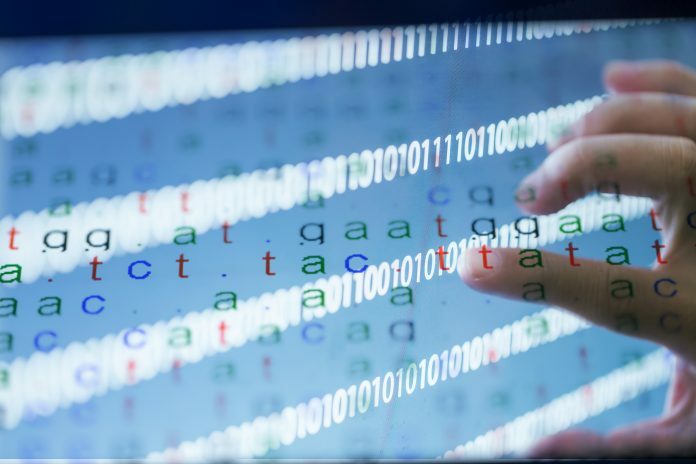 UK Biobank is one of the largest publicly available genetic data sets. It contains information for half a million people, about 94% of whom are of European ancestry. Fewer than 10% are of African, South Asian, East Asian, and Hispanic or Latino ancestry. However, Martin and her team also developed separate polygenic scores using data from the BioBank Japan Project, an East Asian data set, and found that scores calculated from this data set were almost 50% more accurate in predicting disease risk for East Asians than scores based on UK Biobank data. In recent years, Sekar Kathiresan, MD, director of the Cardiovascular Disease Initiative at the Broad Institute, and his colleagues have advanced research in polygenic scoring, increasing their predictive power tremendously, and they are working to implement clinically meaningful risk predictors. Early diversifying efforts show promise in leveling this vast imbalance, even when non-European sample sizes are considerably smaller than the largest studies to date. To realize the full and equitable potential of PRSs, greater diversity must be prioritized in genetic studies, and summary statistics must be publicly disseminated to ensure that health disparities are not increased for those individuals already most underserved.